If you could go anywhere in the world where would you go? Well, if you are like our Multimedia Specialist, Hannah, it might be Italy! Like many members of our team, she caught the travel bug, so we are taking on the world one country and trip at a time. Hannah recently returned from a week long, whirlwind adventure in Italy! During her time there, she ate some of the world’s best food, drank wine, and explored the many varieties of Italian art. 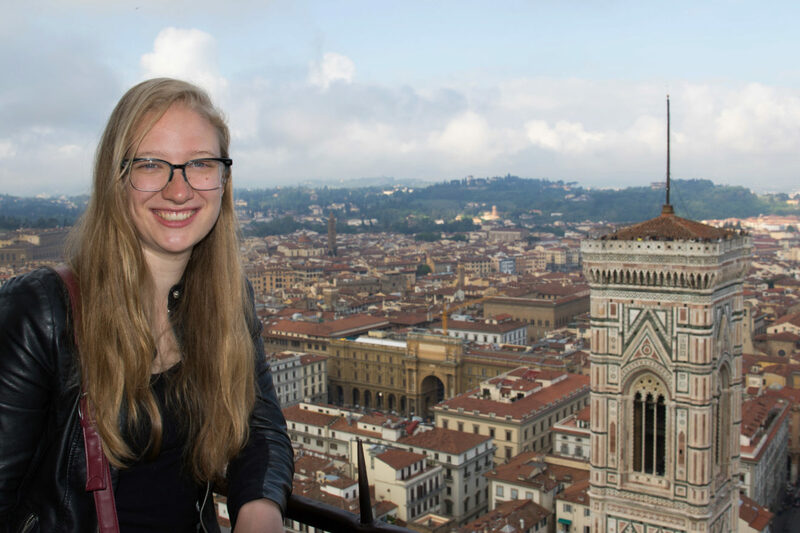 Hannah traveled all over the country but her favorite part was Florence, birth place of Leonardo Da Vinci and capital of the Tuscany region. She even had the opportunity to climb to the top of the Piazza Del Duomo, which features an incredible view of the valley. We look forward to hearing even more about her Italian adventure! Let us know in the comments: Where is the best place you have traveled?